Spring is well and truly here, and what better time to be out and about in the community. For me spring brings with it longer days and lighter nights and a greater opportunity for us to come together to support local initiatives such as the Great British Spring Clean, and to make a difference. Being out and about across my constituency is something I really enjoy, and in particular being able to support some of the many dedicated individuals and groups of volunteers who work tirelessly week in and week out to create a tremendous sense of civic pride within our local communities. With this in mind I joined volunteers at the end of March at their locally planned spring clean events for a spot of litter picking! I firmly believe that we all have a responsibility to leave our planet in a better state for the next generation. 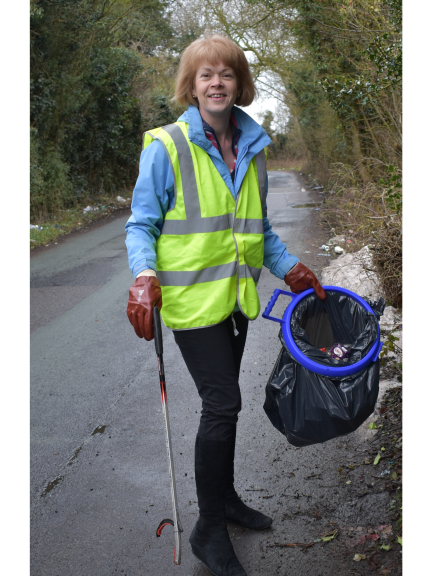 Initiatives such as the Great British Spring Clean encourage us to demonstrate the difference we can all make collectively to protect our local environment, and benefit the community too. Of course, when it comes to communities, thriving High Streets and Village Centres lie at their heart, creating jobs, nurturing small businesses and injecting money into our economy, as well as creating a place for us to meet, come together and socialise. With this in mind it was a pleasure to be invited to the opening of Blossoms nursery in Pelsall and the John Taylor Hospice Shop in Brownhills, two new local businesses, and I wish them well. Whilst there is no doubt that the increase in social media and on-line retailing, creates a new dimension and challenge for our High Streets, there are a number of new initiatives coming forward designed to help them adapt and meet these new challenges. Central to these initiatives is the Government’s Future High Streets Fund with an additional £675 million of welcome funding. Combined with business rate reductions targeted at our small business community and reform to our planning system, action is being taken at a number of levels to demonstrate that our High Streets are the place to bring communities together and are a place where people access vital services and where businesses can thrive. The West Midlands region will also be able to access more than £200 million of funding from the new Stronger Towns Fund, and as your Member of Parliament. I am keen to see our towns and high streets benefit from these initiatives. Last month we also celebrated National Apprenticeship Week 2019 - and what better way to mark the success of apprenticeships and encourage more young people to choose an apprenticeship as a pathway to a great career, than by visiting In-Comm training &amp; Business Services in Aldridge. Skills and apprenticeships are something I have long been a big supporter of and there is nothing like hearing from young people about their experiences and their achievements. Given our strong manufacturing base in the West Midlands, apprentices are a key part of growing our skills base. It is important to recognise the diversity of apprenticeships available and the opportunities they provide for young people, whilst also helping to grow our skills base and bridge the gap in our economy. As Easter approaches, I end by wishing you all peace and joy at Eastertime. Freeverse, a free poetry festival featuring poets from Walsall, the West Midlands and Beyond.